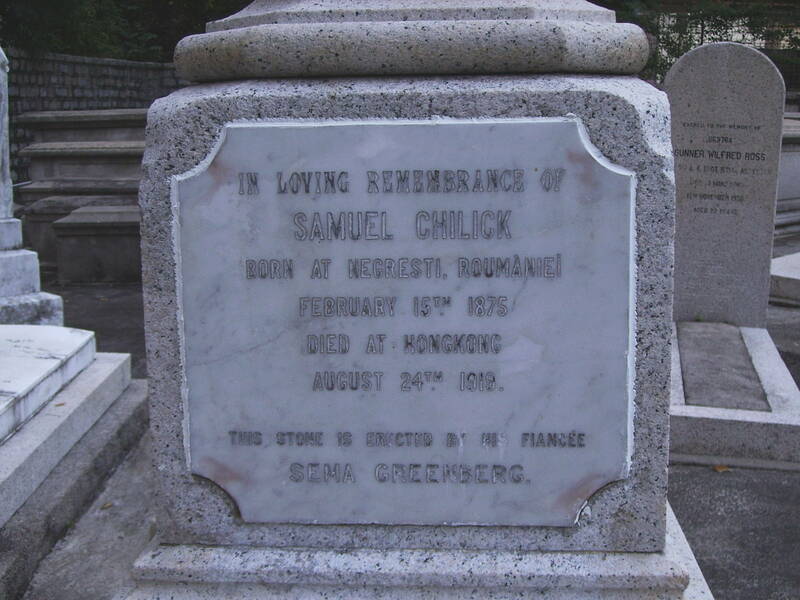 Inscription (Eng) IN LOVING REMEMBRANCE OF SAMUEL CHILICK BORN AT NEGRESTI, ROUMANIEI FEBRUARY 15TH. 1875 DIED AT HONG KONG AUGUST 24TH. 1919. THIS STONE IS ERECTED BY HIS FIANCEE SEMA GREENBERG. Historical The funeral took place on August 25 at St. John’s Cathedral.